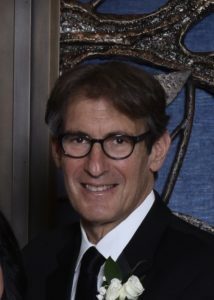 Joseph Sprung is a New York business leader and a passionate advocate for children in need. Joe graduated in 1977 with a degree in Economics and was elected to “Who’s Who Among Students in America.” He attended Bernard Baruch Graduate School and became a Certified Public Accountant in 1981. He founded JBS Financial Services in 1994, with the vision of applying economic, financial, and tax expertise along with creative and intuitive insights into virtually any business or personal situation that may arise. His dedication has been rewarded by his long-standing relationships and illustrious client list. Besides having a stellar business reputation, Joe has never been one to take his success for granted and has always had a strong desire to give to others through his involvement in many charitable and philanthropic organizations and events. He is a passionate advocate for children in need and in 2002 he founded Bear Givers, a non-profit organization. Bear Givers benefits children of all ages and empowers them to become givers and perform meaningful acts of generosity. Joe is dedicated to expanding the reach of Bear Givers and touching more children across the country and around the world. Along with Bear Givers, Joe is deeply involved with Chai Lifeline, a non-profit committed to addressing the emotional, social, and financial needs of seriously ill children, their families, and communities. Now the Chairman of the Executive Committee, Joe is also Past President of this esteemed charitable organization. He was also a Regional Chair of Children of Chernobyl, on the Executive Business Committee of AMIT and chairman of a project to build an emergency medical center. He is relentlessly committed to the betterment of those less fortunate and he looks forward to joining the Board of Music for Autism where he will have the opportunity to help children and their families.